KISSIMMEE, Fla., September 23, 2009 – Thanks to lower fuel prices, the average bill for a Kissimmee Utility Authority customer decreased in September by $8.10 or six percent and will decrease an additional $4.12 or 3.2 percent in October. The utility’s fuel charge in August was $2.54 per 1,000 kilowatt-hours (kWh). 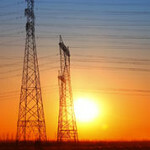 In September, the charge appears as a credit of $5.56 per 1,000 kWh, and in October the credit will be $9.68 per 1,000 kWh. The lower fuel costs are expected to remain in place throughout the winter months. More good news: KUA has no base rate increases planned for 2010.